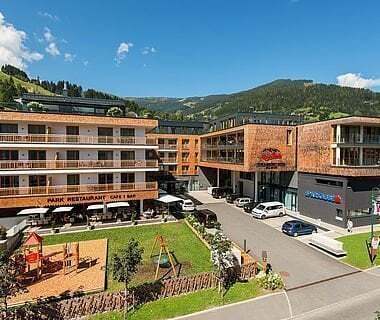 Breathtaking landscapes, impressive mountain ranges and a one-of-a-kind recreation area surrounding Lake Zell: Zell am See-Kaprun is an all-year holiday paradise, with AlpenParks Hotels & Residences right at its heart. You (almost) can’t get any closer to the mountains than in Zell am See! After all, the charming town is surrounded by the Alps and only 60 kilometres as the crow flies from the city of Salzburg. Right at the heart of the impressive landscape, Lake Zell nestles up against the imposing mountains and lush green meadows. With a length of four kilometres, a width of one kilometre and a depth of 68 metres, the lake is perfect for relaxing, swimming and ice skating. The neighbouring village of Zell am See, Kaprun, is home to the breathtaking high-altitude reservoirs . In spring, when the first sun melts the snow, they are filled to the brim with crystal-clear mountain water. Don’t miss one of the fascinating tours to find out everything about the glacier, hydro power and power generation! One thing’s for sure: Lake Zell is always worth a visit. So how about exploring the lovely lake during a boat trip and enjoy some splendid mountain views and on-deck culinary treats along the way? The castle from the 12th century is at only a stone’s throw from Zell am See, towering majestically above the picturesque village of Kaprun. It is also used as a one-of-a-kind event location, so it’s definitely worth checking the current events calendar. Maybe you’ll be lucky and catch a Medieval Festival during your holiday! Located in the Kaprun Valley, only a 15-minute drive from Zell am See, you will find Sigmund Thun Gorge. With its wooden passageways and bridges over the rushing water, it’s a great refreshment on hot summer days! 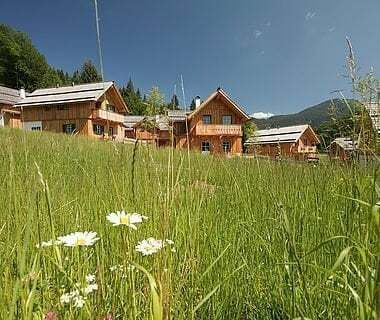 Summer in the mountains of Zell am See can be both relaxing and active. During the warm summer months, tourists as well as locals make the most of the resort’s great leisure opportunities. Passionate hikers can start their tour right from their apartment’s doorstep. 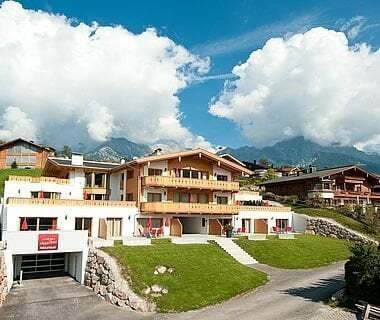 If you’re looking for a more relaxed way up the mountain, simple hop on one of the cable cars and take a leisurely ride up to the peak – a great highlight for the kids! If you’re a fan of running, why not join the Ironman Zell am See 70.3? There are different contests for women, men and children and lots more to see and do. After all, the world’s best swimmers, cyclists and runners are all gathering in Zell am See on August 26, 2018! What would a summer holiday in the mountains be without mountain biking? Zell am See-Kaprun offers great bike tours for all skill levels. Simply ask the team at your AlpenParks reception desk for the best tours and rental facilities! In spring, Lake Zell offers particularly great opportunities for sailing and surfing. Due to warm southerly winds, professional yachtsmen and surfers also love early summer on the lake. Snow-covered valleys, star-studded nights and world-famous ski resorts: The holiday resort of Zell am See-Kaprun is full of winter delights. Get your own dose of crystal-clear mountain air! There’s no better way to relax and unwind than during a snowshoe hike through the snow-covered landscape. After all, winter hiking is a great opportunity to enjoy nature and catch some fresh air. The region around Zell am See-Kaprun boasts 200 kilometres of perfectly groomed cross-country ski runs. The holiday destination of Zell am See-Kaprun is a Mecca for skiers and snowboarders from all over Europe, who love the ski resorts’ varied offers. Experience unlimited skiing pleasure at the “top of Salzburg” at 3,029 metres above sea level. With 41 marvellous kilometres of slopes, the Kitzsteinhorn offers plenty of snow fun from October up until summer. 19 state-of-the art cable cars and lifts take you up to the high-alpine, 100% snow-sure winter sports paradise. 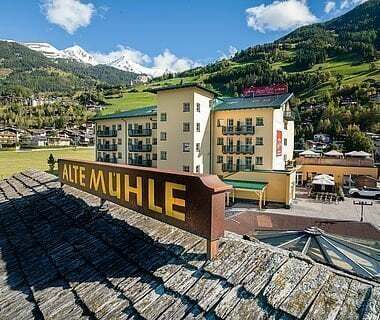 If you’re feeling hungry, simply let the teams of the AlpinCenter, Häuslalm and seven other restaurants spoil you with their local delicacies! Did you know? The Kitzsteinhorn is the only glacier ski resort in the entire Salzburger Land region! ICE CAMP: artful snow igloos, ice bar, Audi showroom, sun terrace with sunbeds and cool tunes – welcome to the Ice Age! Kitzsteinhorn Snow Park: See the freestylers‘ spectacular tricks from the lift. The park’s Superpipe even attracts Olympic athletes who train in Kaprun. Gipfelwelt 3000: Enter the virtual glacier world at Cinema 3000 and join a free tour of the National Park Gallery. The Schmittenhöhe offers the right terrain for all skill levels at 2,000 metres above sea level. 27 lifts take skiers up to 77 kilometres of slopes. 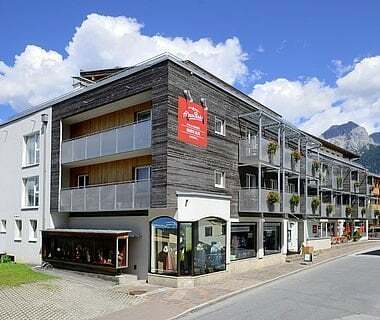 The entry point to the ski resort is only a stone’s throw away from your AlpenParks Apartment. You’re feeling hungry? There are 22 traditional mountain huts, bars and restaurants strewn across the mountain – enjoy! Kaprun‘s Maiskogel offers everything families could want from an unforgettable holiday. If you like small and charming ski resorts, you will love the Maiskogel. Three lift facilities take skiers up to the mountain station, practice hill and 20 kilometres of slopes. Tobogganing fans enjoy an all-year adrenaline rush on the “Maisiflitzer” Alpine coaster. News: From December 2019 on, the K-Connection will take you from the Maiskogel ski resort directly to Kitzsteinhorn glacier! AlpenParks Hotels & Residences have the right offer for every guest. 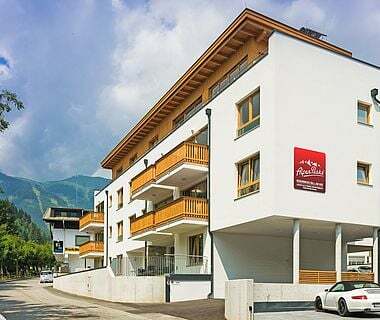 The modern AlpenParks Hotels & Residences holiday apartments are located at the heart of Zell am See. With lovely views of Lake Zell and the impressive mountain landscape, they are a great place to relax and unwind. Did you know that there is also a five-star luxury penthouse? The perfect apartment for a romantic couple getaway! Thanks to the spacious living area, the panoramic apartments offer plenty of space for the entire family. Enjoy breathtaking views of the snow-covered Kitzsteinhorn or head over to the nearby golf course in summer. If you don’t want to miss out on some convenient hotel amenities during your apartment stay, Hotel & Apartment Central is just the place for you. 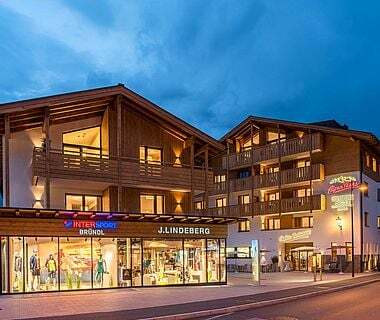 Close to the lifts and the village centre, it also boasts an in-house restaurant – the perfect amenities for guests looking for comfort and convenience! Let the AlpenParks team do all the work for you! Zell am See offers culinary delights for all tastes, from vegetarian dishes to Italian specialities and traditional Pinzgau treats. Our special recommendation: Park Restaurant and Bar . And don’t miss the many mountain huts serving mouth-watering local dishes! How about a relaxing day of wellness? 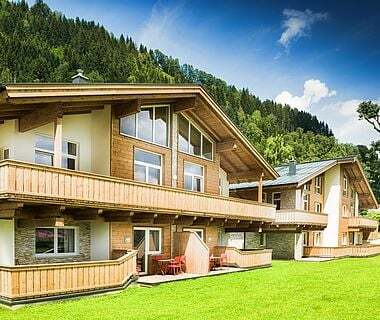 Kaprun’s TAUERN SPA is a 20,000-square metre haven of relaxation. The legendary spa offers eleven pools, ten saunas and steam baths and a children’s water world – the perfect place to pamper your body, mind and soul! Sports enthusiasts will love the spa’s workout courses, Yoga lessons and special daily exercise programme. Or how about a visit to the TAUERN SPA’s gym? Simply ask your reception staff for tickets and enjoy ten percent discount off the spa’s massage and beauty treatments. If you feel like a bit of gambling, the casino of Zell am See is the perfect place to do so. Roulette, Poker, Black Jack and numerous slot machines are all waiting for you in the elegant atmosphere of the casino. Every Friday and Saturday, there are special Party Games with small stakes and great fun!